Cell phones can be considered today as one of man's basic necessities since most of us interact with mobile phones in doing our activities and daily routine. 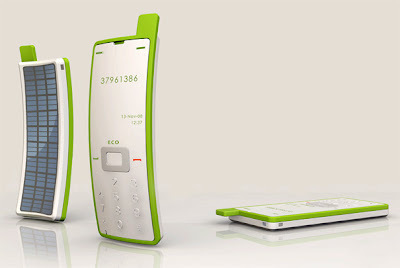 And recently, industrial designer, Liu Hsiang-Ling developed the first of its kind eco-friendly Sticker Phone that self-charges using the sun's solar power. 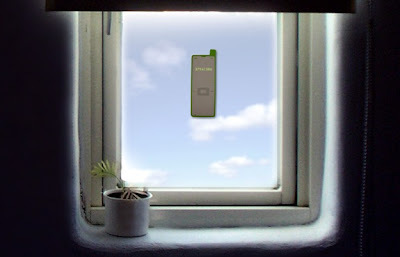 This is a unique kind of mobile phone invention as it can be sticked on to your window or your car's windshield via its suction to collect solar power and have it stored on its on-board battery to keep it running. The phone is made from silicone material and it arches back making it flexible enough to quickly stick on to window glass and even to jagged surfaces.